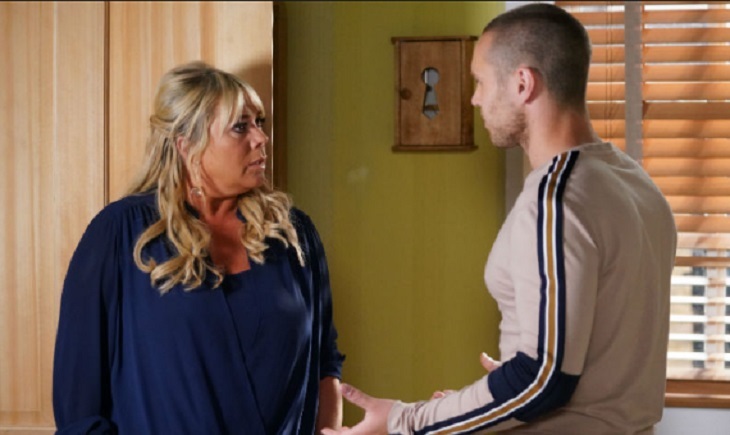 EastEnders spoilers indicate that Keaunu Reeves has a big confession to make to his secret lover, Sharon Mitchell. For months now Keanu and Sharon have been trying to keep their affair under the radar from Phil Mitchell and of course, the rest of Walford. But now Keanu has some shocking news that will most definitely rock Sharon’s world. Here’s what you need to know. According to the last Eastenders episode, Sharon wanted nothing to do with Keanu after she spotted him kissing Louise at a celebration party. She was most certain that they were 100 percent done. After all, she’s been playing with fire for quite some time now. The last thing she needs to do is destroy her marriage to Phil with someone who can’t even stay faithful to her. Eastenders spoilers indicate that both Phil and Sharon have a meeting with Mel at The Vic. Phil has been considering a move back to Spain, much to Sharon’s surprise, yet she is delighted to hear that he’s not taking the offer. Mel accepts the offer instead, and everyone seems to be pleased. When someone tells you there’s no #EastEnders tonight. When Sharon heads off to the bathroom, she’s unaware that Keanu is following her from behind. He has a huge confession to make and he needs to get it off his chest as it has to do with their relationship. Keanu finds Sharon and pours his heart out to her, but unfortunately fans can’t hear what Keanu has to say. Clearly, Sharon is surprised by this move. So, does this mean that she’s willing to give their affair another chance? Is Sharon willing to jeopardize everything she has with Phil for her younger lover? Fans will find out soon enough! EastEnders airs weekdays on the BBC network and is available on Britbox in the U.S. In the meantime, let us know what you think by leaving us a line with your thoughts in our comments section below.